Elgar Advanced Introductions are stimulating and thoughtful introductions to major fields in the social sciences and law, expertly written by the world's leading scholars. 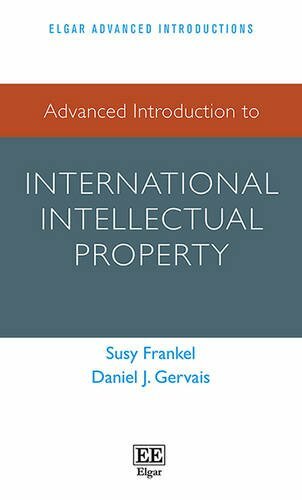 This authoritative introduction provides a detailed overview of the complexities of the international intellectual property regime and the ways in which it operates. The authors cover the key international institutions and agreements that regulate and inform intellectual property at an international level such as the TRIPS Agreement, WIPO, WTO, the Paris Convention and the Berne Convention. The book serves as a platform to understand and contextualize policy discussions on topics such as public health, Internet regulation, as well as regional and bilateral trade treaties. Key features include: * Accessible and carefully summarized overview of the field * Comprehensive and up-to-date review of all major international intellectual property institutions and instruments * Introduces current issues within international IP negotiations * Provides tools to analyze the history and possible future development of international IP norms. Students, researchers, policy makers and practitioners of intellectual property will find this book to be an invaluable resource in gaining an understanding of the international rules and context in which both domestic and international IP policy issues should be understood.